Biometric safes are considered one of the safest ways of storing your guns and other dangerous and valuable items while having the peace of mind that you are the only one who can access it at any time. In the last several years, biometric technology has advanced quite a lot and there have been many developments made in this field, developments that impacted both the price and reliability of this amazing technology. Compared to a regular safe, a biometric alternative offers you a much higher level of security and at the same time it also allows you to access the contents of the safe in record time. With that in mind, below we’re going to take a better look at the top 3 advantages of biometric safes and why you need to use one for storing your most valuable items. If you used a traditional safe in the past, then you know very well that most of the times you’ll need to input a password, a PIN or even use a smart card to access it which as you very well know, they can be easily forgotten or lost. On the other hand, a biometric safe only requires that you use your iris or fingerprints for identification which is done much faster and at the same time, it greatly minimizes the chances of someone else gaining access to the safe. Your security code, pin number and smart card can all be gained access to pretty easily, but replicating your fingerprints or even harder, your retina, is almost out of the question. As a result, only people who are authorized for using the safe will be able to gain access to its contents. Probably one of the best things about using a biometric safe is the fact that you will never have to worry about remembering PIN numbers, passwords or God knows what other security information in order to access it. 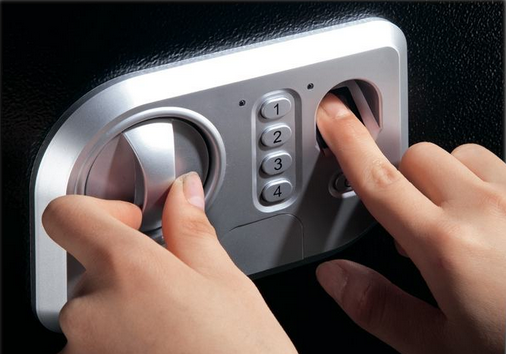 In fact, there are a lot of people out there who have a bad memory and if they won’t remember the password or the PIN required to open the safe, they may need to call an expert to crack it open. This is not only costly, but at the same time it takes a lot of time and it’s a hassle in general. On the other hand, a biometric safe is much easier to access and all you need to do is swipe your finger across the sensor and the safe will open. On top of that, the hardware and software are very simple to use and you don’t need excessive training in order to install them. Better yet, if you have kids a biometric safe is going to offer you the peace of mind that they’ll never be able to find your key code combination or your smart card and open it. You can read through our Best Biometric Gun Safe Reviews to learn more. 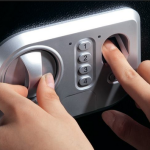 One of the most important features of biometric safes is the fact that they create log-ins every time someone uses them and this is very important if you are not the only person who is using the safe. For instance, biometric safes can be used in corporate environments, where people will store sensitive client documents in them and access it when required. If you cannot find a file or you suspect that someone has used it before you and didn’t put it back, then all you need to do is verify the log-in history and find out exactly who the person that used it last is. Depending on the model you get, it may even feature a built in camera if the iris or fingerprint information is deemed unreliable. By using a camera, identifying the person that used the safe last is greatly simplified, allowing you to track down the individual in cause. Biometric safes are the future of storage for important and dangerous items, including documents and guns and if you really care about security and want to ensure that no one else but you is going to have access to the safe, then going with a model that uses biometric technology is very much recommended. Not only are they very reliable, solidly built and easy to use, but at the same time you don’t have to worry about poking your wallet when purchasing one.